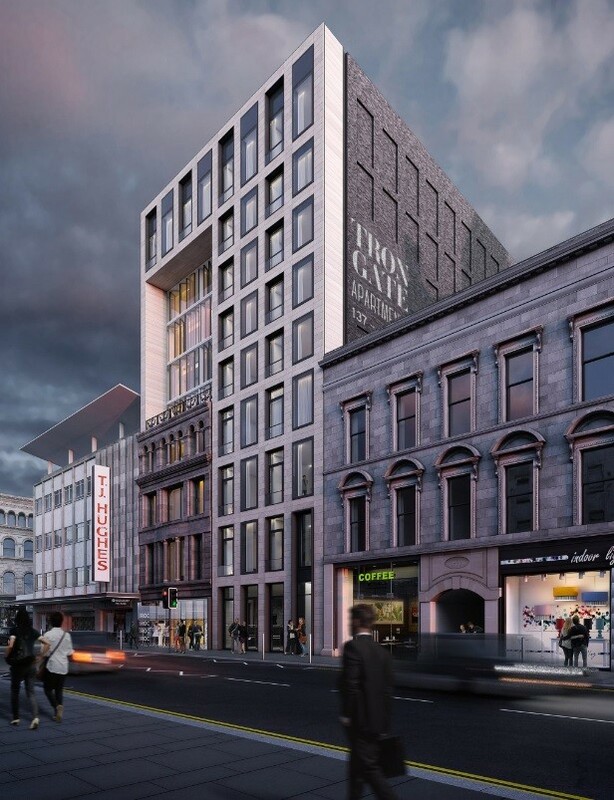 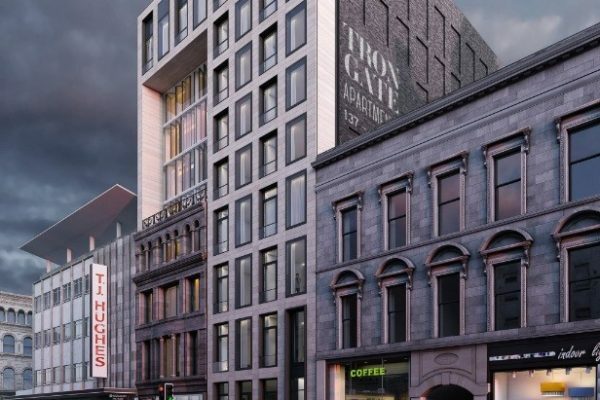 Glasgow City Council planners have given their consent to the demolition and façade retention of B-listed 137-143 Trongate to facilitate construction of 69 studio apartments amidst renewed interest in the area pending onset of the Candleriggs Quarter. 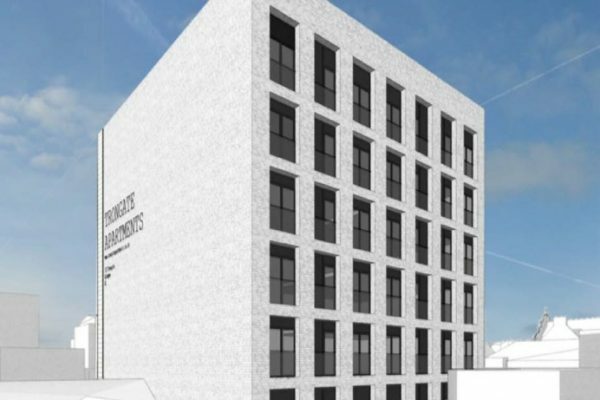 Trongate Apartments is the latest bid to redevelop the problematical site by Ventureline Ltd after several previous schemes for the plot fell through and will see an unlisted 1930’s building demolished together with incorporation of the B-listed 151 Trongate, itself rebuilt in the 1980’s. 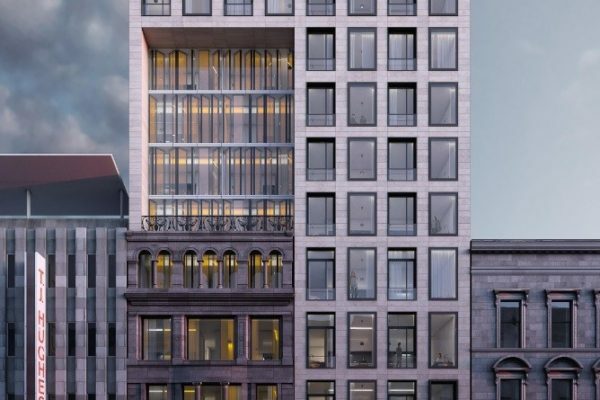 Split into separate north and south wings divided by a service core the scheme will adopt a stone clad façade with full height window openings, adopting the classical proportions of the existing buildings in the process. 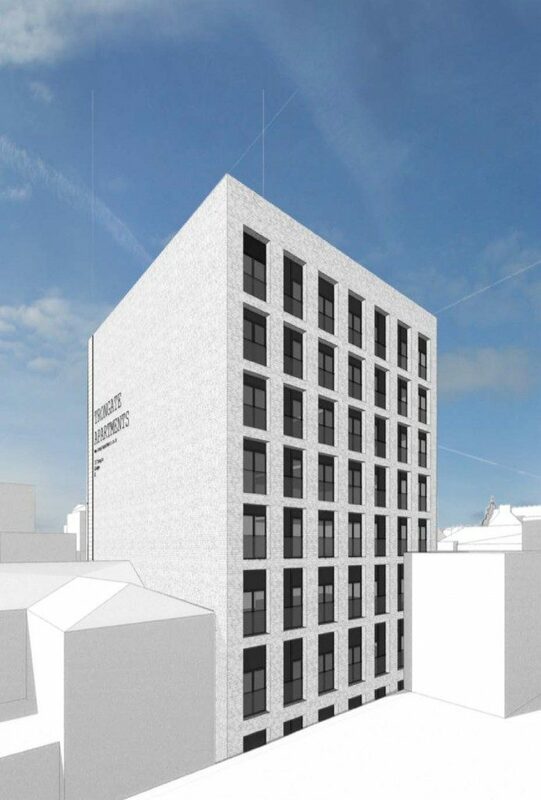 This twin approach will see Jura Limestone used for the front façade with grey brick to the rear, the latter of which will wrap around to the side elevations. 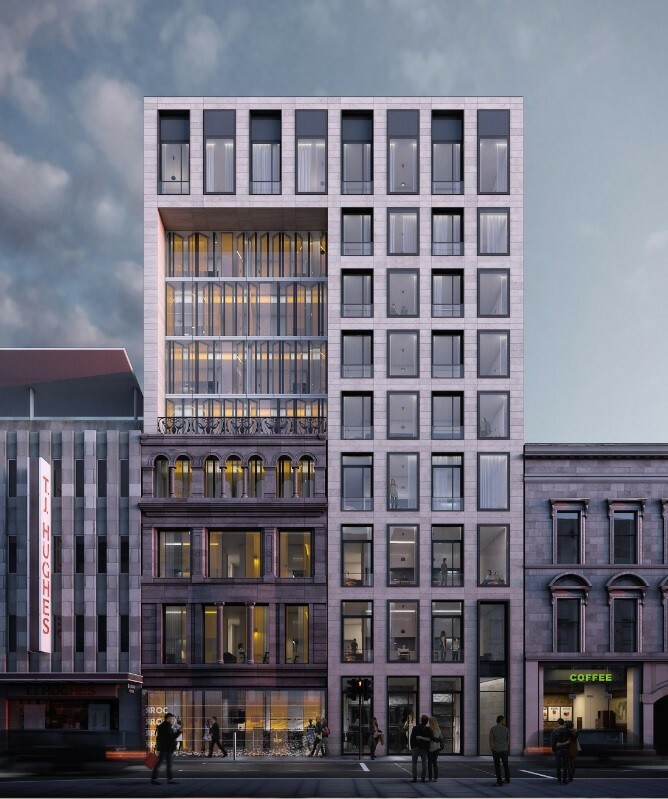 New story courtesy of Urban Realm.